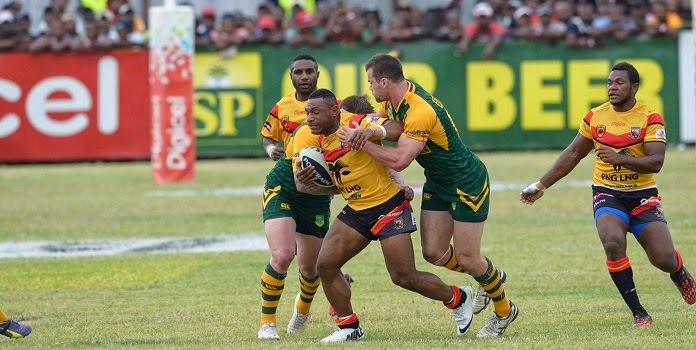 The PNG Kumuls will be looking to be crowned champions of rugby league in the Pacific when they take on Fiji in May in the annual Pacific rugby league Test. With changes made to this year’s fixtures, the Kumuls will play Fiji in the first weekend of May on the Gold Coast in a Melanesian clash. This will follow the ANZAC game between Australia and New Zealand. The Polynesian clash will be between Samoa and Tonga. This will also be in May. The winners from the double headers will face off later this year to decide the champions of rugby league for the Pacific in 2015. PNG is currently ranked 11th in the world. Samoa are ranked 4th, Fiji is ranked 6th, while Tonga are 16th.